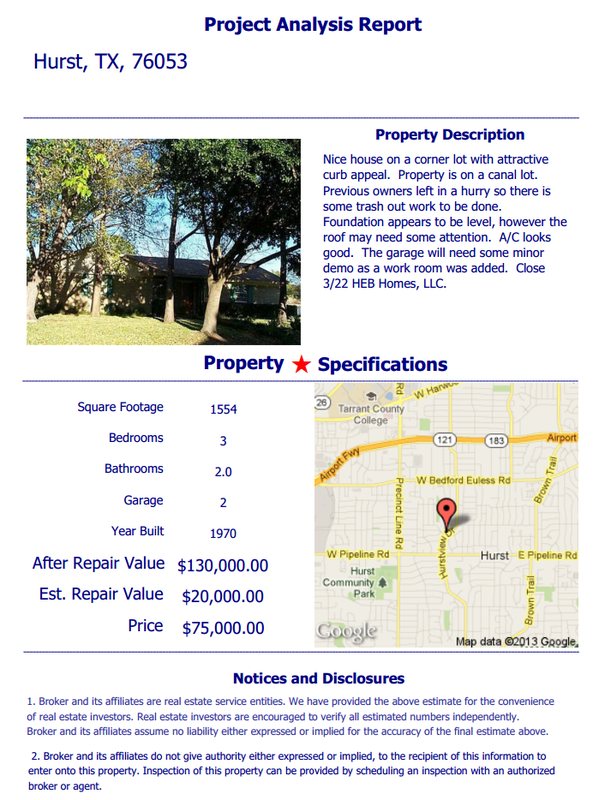 American Wholesale Property: New Hurst Flip Property! Nice house on a corner lot with attractive curb appeal. Property is on a canal lot. Previous owners left in a hurry so there is some trash out work to be done. Foundation appears to be level, however the roof may need some attention. A/C looks good. The garage will need some minor demo as a work room was added.